I'm not always a fan of Yen Press's translation work (I think they sometimes make the mistake of hewing too closely to the original language, even when such a direct translation takes readers out of the story), but they're one of the more reliable and high-quality manga publishers, so I was pleased to hear that they are planning to expand into the kids' manga market. 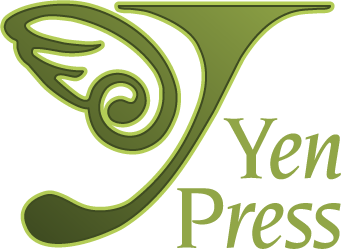 This fall, Yen is launching JY, a "new imprint focused on middle grade graphic novels." JY will publish about 12 books a year, including some re-releases and movie tie-ins. Best of luck to Yen Press with their new endeavor—the manga market in the US can always use fresh blood.